Are you ready to have some cool, thrilling, hilarious and fun-tastic experience of the century! If your answer to the above question is Yes, then get ready to do Zorbing. How many of you can imagine what it feels like being placed inside a huge plastic ball which rolls downhill. I’m sure that the description may be appealing to some and sounding weird to others. But this is one of the craziest sports of the 21st century to gain immense popularity around the globe. Around the world people spend a lot of money on Zorbing and it is big business in many parts of the world now. This crazy sport which is called Zorbing or Globe – riding originated in New Zealand, the originating country of some of the craziest sports in the world. In this sport one rolls downhill in an orb, which is generally made of transparent plastic. Zorbing or globe riding is usually done on a gentle slope. The rider has more control when it is done on a level surface. There are two types of orbs, harnessed and non-harnessed. Non-harness orbs carry up to three riders, while the harness orbs are constructed for one to two riders. The first zorbing site was established in Rotorua, New Zealand, by David and Andrew Akers. Zorbing can be done on different kinds of tracks and can be undertaken solo or in a group. Apart from New Zealand and England where this sport is immensely popular other, countries that have taken up Zorbing on big scale is Slovenia, Ireland, Guam, Thailand and Czech Republic. 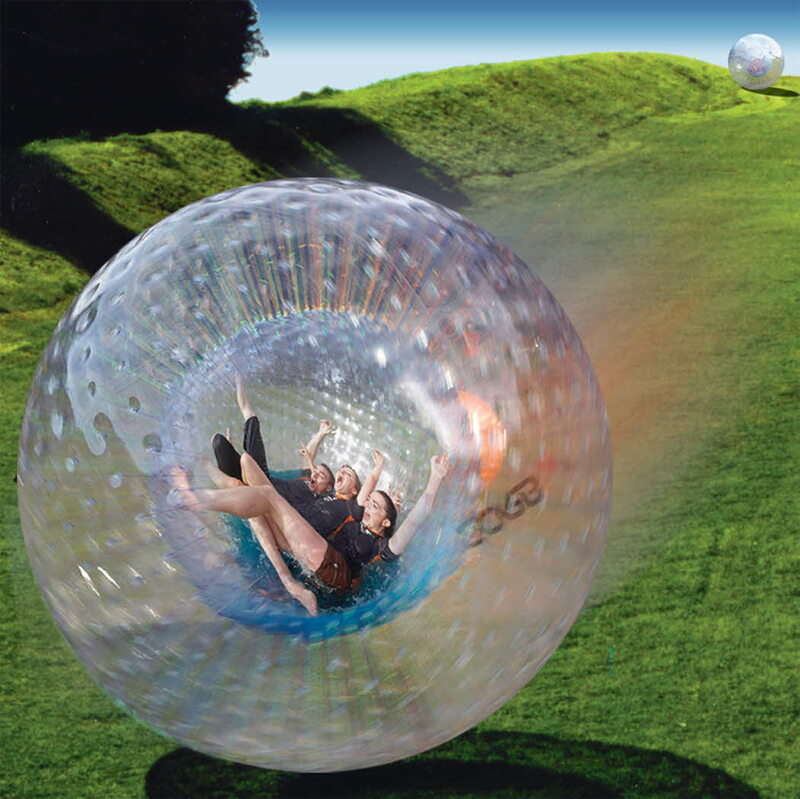 Zorbing can be done on Straight Tracks, Zig – zag Track, drop tracks. Zorbing can also be done by more than one person at a single point of time. The Zorb is a big ball which actually consists of two balls, one inside the other. This ball is made of very flexible plastic. The outer ball is around three meters across, while the inner ball is around two meters. A person can slide into the inner ball through a small opening and is held in place by straps. Then the ball is set off down a gentle slope. Experienced Zorbers can try stunts on steeper slopes. Once inside riders can loosen the straps, which enable one to fly around inside the ball, tossed by the rolling motion. One can also do twirling with a bucket or two of water poured into the ball. The ultimate fun of Zorbing is when it is done in a group rather than individually. 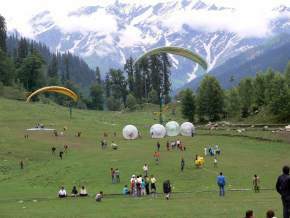 In India Zorbing is still in its nascent stage and has a long way to go as a full fledged sporting activity. The adventure sport of aqua-zorbing has been introduced for the first time at a children's park in Hyderabad, Andhra Pradesh. In this case the transparent Zorbing ball is placed in approximately three feet deep water. The rider enters the ball, which is then inflated. The ride lasts from 10 to 25 minutes. 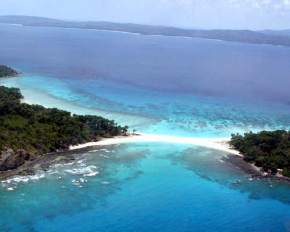 It is great fun for the young ones and it’s also safely conducted. So, the next time you wish to try something new and innovative then try this slippery, slidey and slopey ride in a zorb ball.